On Sunday 21st April 2019 we celebrate Easter. If you like to search eggs with us, YOU are welcome @ Adam’s Apple Club in Chiang Mai. Let’s find the most beautiful eggs together! Here @ Adam’s Apple Club in Chiang Mai you will find the most colorful and largest eggs. 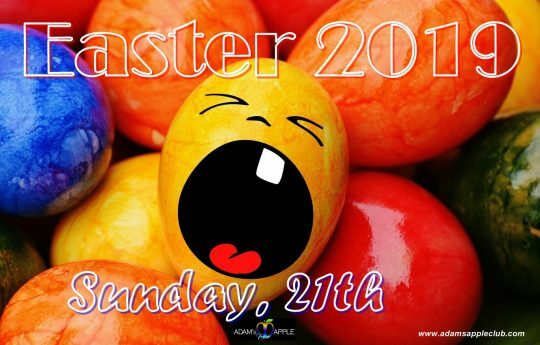 In our Host Bar Adam’s Apple Club we have special shows for Easter 2019. 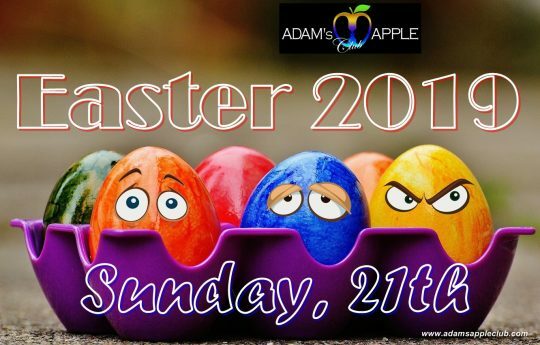 We are happy to welcome you to our Easter Party 2019 @ Adam’s Apple Club in Chiang Mai on Sunday 21tst.